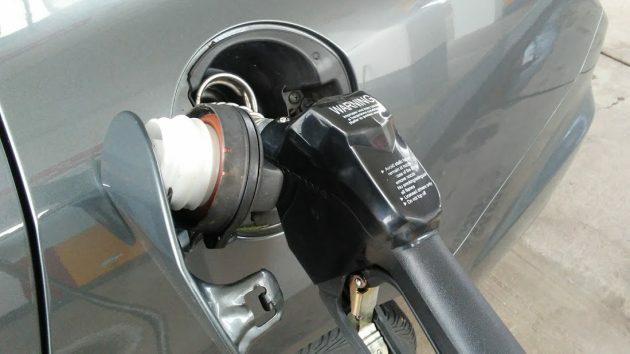 Filling up would cost substantially more if Oregon imposes a carbon tax, as Democrats intend. Democrats in the legislature are set to adopt a thinly disguised carbon tax when they meet in February. They haven’t said what this will cost everybody, but they should. To achieve that reduction, the bills would require the Environmental Quality Commission to set limits by 2021 on industries that emit the most greenhouse gases. To stay in business, those companies could buy allowances at state-organized auctions. Hence the name for this approach: Cap and trade. If it can’t meet the cap and afford the allowances, an industry would face the choice of shutting down or moving out of state. In 2016, similar legislative proposals were in the news, and Associated Oregon Industries hired a consultant, FTI Consulting, to estimate the effects. The firm calculated that the retail price of gasoline would approach $8 (in 2016 dollars) by 2050 because of cap and trade, about double what it would be without it. The price of residential natural gas service would nearly triple. By the 2020s, the consultants figured, the cost of living of a family of four would be $500 to $1,500 more per year in utility prices alone. In addition, there would be the higher cost of everything else as businesses passed on the expense of cap and trade. All of that would be in addition to the costs Oregonians will be forced to pay by laws already on the books. We have the Clean Fuels Program, which demands a 10 percent reduction in carbon intensity of the transportation sector by 2025. Then we have the Renewable Portfolio Standard, requiring electric utilities to buy half their power from renewable sources by 2040. And we have the legislature’s ban on electricity from coal-fired sources, which takes effect in 2031. The sponsors of the 2018 legislation say the millions of dollars the state would get from the carbon tax on big emitters would be spent to create new jobs in rural areas and help people who lose their jobs because of the tightening requirements. Chances are the main thing the tax would do is fuel the state bureaucracy that administers this plan. Shortsighted assessment. Costs of doing nothing? Costs of climate change? No more snow? Drought effects on agriculture? Tourism? Impact of electric vehicles on gas demand? Gas price estimates without this action in 2050? Let’s do some real reporting. Do you really think the climate is affected by what Oregon does? Do you really think you reduce automobile traffic by riding your bike? No. I ride the bike for fun and exercise, not to make some kind of social or ecological point. Sorry, the point I am trying to make is that I believe individuals can make a difference through their actions, no matter how small an individual is compared to the whole. Indeed, it is the only way most of us can make a difference. Whether picking up trash along my street, or biking to make traffic lighter. Or – biking to affect the climate. And if an individual can make a difference, logic says that yes, all of Oregon can make a difference too. It’s also the ideal way to become aware of one’s surroundings at a certain scale of size and time – larger and faster than by walking, but safe and easy to stop for closer observation. Can’t usually do that effectively while driving. Need a study on all aspects before implementing any tax. Not just tax tax everything they can think of. Climate change has been going on since the beginning. Yes, man may have little impact but it might relate more to what we have done to the surface of the Earth. Improving ground cover, whether in Eastern Oregon sagebrush country or Midwest producers having bare ground in the winter, probably had more to do with climate change than what people are blaming today. Read “water in plain sight” to give you some insight. The key word here is Democrats. They always want more money to waste on BS ideas and programs. They never do anything to lower costs or fix the spiraling pension costs or reduce state employee count and the Rep’s never stand up and make demands. This article is confusing, are they proposing cap and trade or a carbon tax? I tend to agree that it doesn’t make much sense on a state level, it is too easy to relocate businesses to other states. A carbon tax should be done on a federal level with border adjustments so that it does not effect the competitiveness of US industries. I also believe a carbon tax is what will have to happen at some point. Long term it will encourage innovation and is the free market solution. Oregon is .06 in the country for carbon emmission. This is going to make Oregon an even less friendly state for fixed income people and people who must drive for a living. This will pass the costs on the the consumer and make everything more expensive. This is the stupidest time in Oregon politics since I have been here for 40 years. Carbon is not bad for the planet. It makes plants grow bigger and then they give off even more oxygen. If Kate would do something to stop the massive geoengineering of the Pacific Northwest then I would be impressed. She is just following the propaganda of the left and there are numerous scientists now willing to tell the truth about global climate change and that we are in a sun cycle if anything. The states that have introduced “cap & trade” — What have been the negative effects in doing so? The logic behind this bill escapes me. I’m torn between legislative eco-terrorism and bureaucratic cancer. those states are blue politically with higher taxes per resident and more regulations on businesses. New tax law tries to correct that by imposing caps on deductions. The point is:Cap and trade raises the expense of existing where it is in place. Oregon is not very business friendly now, cap and trade would just make it that much worse. Rest easy folks. Read over at the O site where Courtney is quoted as saying session is too short to get anything done on cap -n- trade. This is loosely interpreted as the votes are not there. Now go buy a hybrid and/or an EV because I need the gas! The proponents are still poised for the next step. I’m remembering a discussion about the “Earth First” movement. Distilled to essence — Hail Earth; the population must reduce below the carrying capacity in your honor. Balderdash. I’ve never seen anyone volunteer to be first to the depopulation effort. The National Science Foundation estimated that the California fires put 7.9 million metric tons of carbon into the atmosphere in one week. Maybe our legislature should quit worrying about cap and trade carbon taxes and worry about forest management.